You know utilizing all the data information you have can be difficult and also crucial to success. How do you better operations? Improve profitability and productivity? Better your bottom line while keeping costs low? The answer is data analytics and business intelligence. BI has been on the rise for years and with Microsoft's Power BI, the possibilities and value within it are becoming immeasurable. With Vizion's solutions, lost opportunities come out of the woodwork, gaps are found within reports and fixed and above all, you bring your data to life and harness its power. Efficient data process, integrity, information, governance and organization are pivotal in continued success and scalability. Read on to see how partnering with us can help you rise to the top. How do you capitalize on growth opportunities, better your performance numbers and find gaps that may be costing you? Power BI. Data automation is a key component in optimizing your opportunity and leads to better resource allocation. 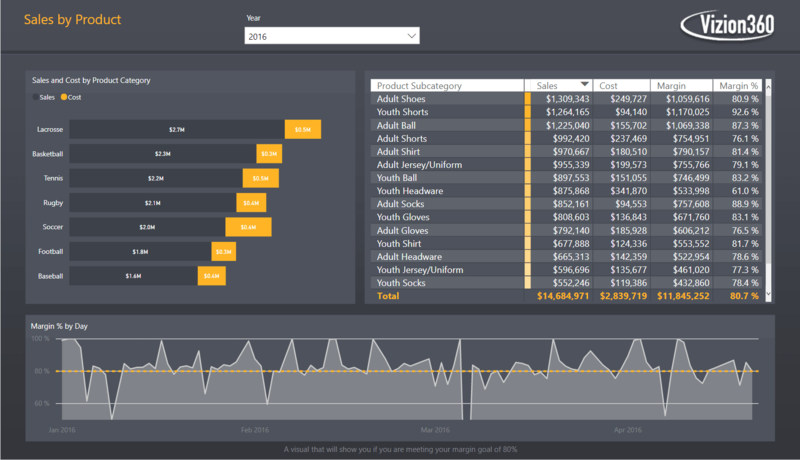 Our analytics apps are Microsoft Power BI solutions that can save you a lot of hours and a lot of overhead. We are a gold partner with Microsoft and are a Cloud Service Provider, so we always have the latest in BI and analytics technology. Our solutions and apps are mobile friendly and constantly updating in real time, even across dashboards shared with your team or other departments. Keeping everyone that needs the visibility happy, in-the-know and on the same page. Here, we focus on driving holistic customer and product views of revenue and costs in total. We use Microsoft-BI stack-multi-dimensional modeling that beats ERP base models capabilities. Our solutions feature a profitability engine that assigns and distributes costs accurately. Our techniques are optimized to work with information delivery and actionable resources. One Version of the Truth: One place for all departments to get information. 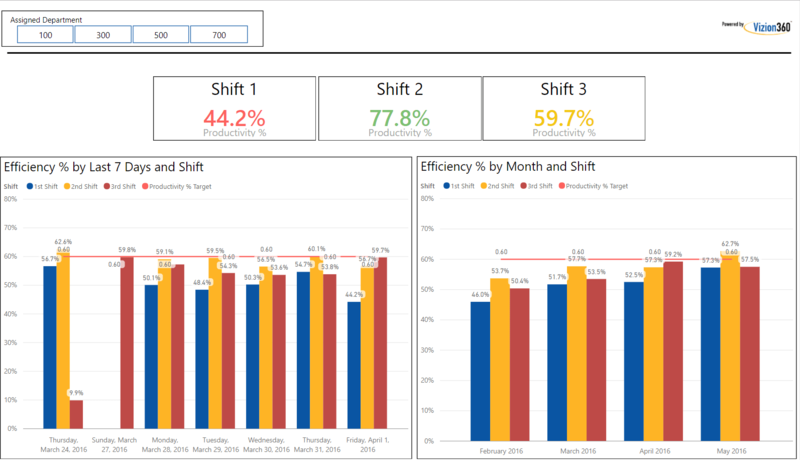 Dashboards and Interactive Reports: ID opportunities and make decisions fast. Automation: Reporting in real time and push reporting. Customization: Built around your company culture and unique needs. Competitive Advantage: See what competitors are doing and gain an edge. Vizion is Recognized for outstanding Power BI solutions by Microsoft. A Certified Gold Partner, see why Microsoft chose to highlight our partnership. Not sure why data analytics is so important? Read our blog to see why Data Analytics is a necessary WIN for your business to stay ahead of the curve. Learn About More Solutions that Will Work for You!